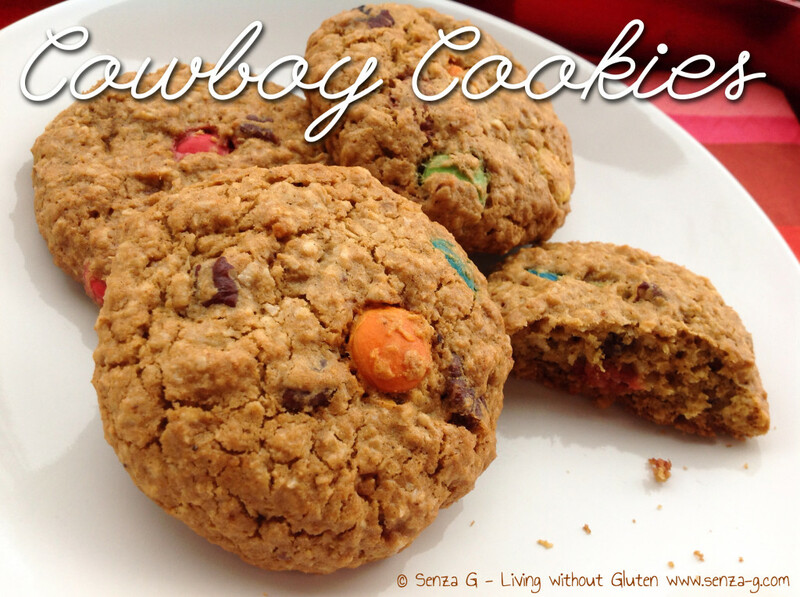 Cowboy Cookies are basically jazzed up Oat Cookies. Still the lovely chewy oatmeal cookie but loaded with other ingredients ranging from chocolate chips, nuts, raisins etc. I also added Chupa Chup’s Chocos to mine which are gluten free, as I love the crunchy texture. Makes 12 cookies. Preheat oven to 150C. Line two baking trays with baking paper and set aside. In a large mixing bowl beat the egg, sugar and oil. Add the remaining ingredients and mix until all is combined. Scoop out heaped tablespoons of the mix and place onto the baking sheets. Place approximately two inches apart. Flatten slightly with your hand or the back of the spoon. Place in the oven and bake for about 15 minutes. Leave cookies to cool before removing from trays.